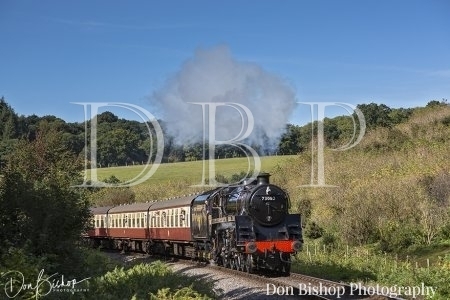 A full days charter on the Great Central Railway with BR Standard Five No. 73156 on both passenger and goods trains. POSTPONED due to loco unavailability. Now planned for 8th October 2019. BR lined Black Standard Five No. 73156 with both passenger and goods trains. Following the success of my charter with No. 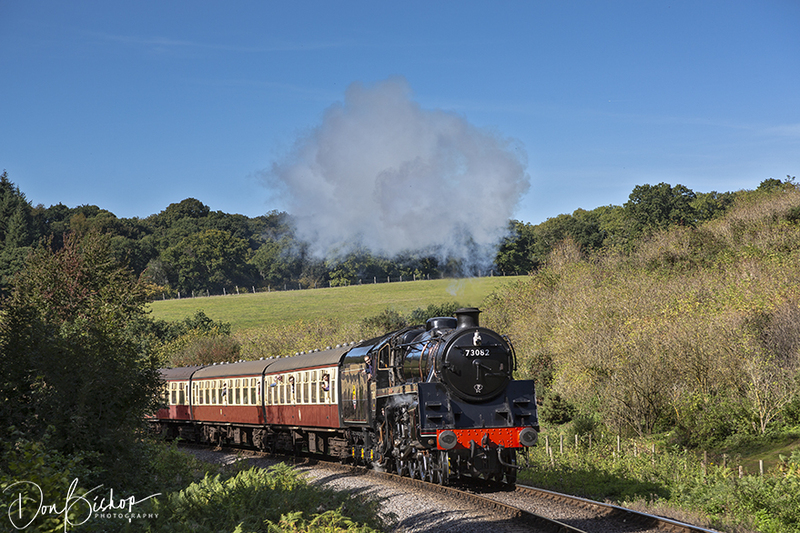 6990 at the Great Central in October 2018 I am pleased to offer you another day of “mainline” steam action. This time we’ll be using recently restored BR Std 5 No. 73156, an engine many have been waiting for over the years, with a Maroon passenger set in the morning and goods train in the afternoon. Depending on the weather we get on the day, and therefore time available, I may use both box vans and mineral wagon rakes. It is proposed to start from Loughborough station around 08.00hrs. There is plenty of parking available outside the station. When the engine and train returns to Loughborough for water and crew change at lunchtime I plan to send the loco back out light engine to Swithland to collect a goods train rake. We will have reconvened at a location near Swithland for the afternoon session. We will have exclusive use of the line throughout the day with the charter finishing around 6.00pm. Cost for the day is £79.00 per head with 35 places being available. From comments made at the lineside this one could be popular, so please be quick if you want to join the charter and avoid disappointment.